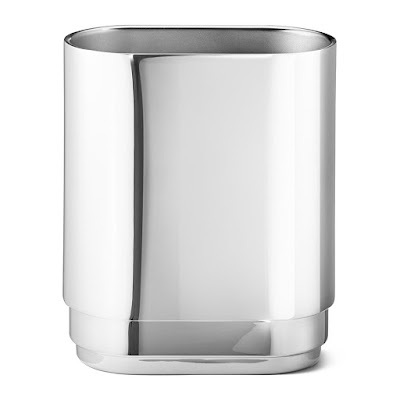 Add a touch of luxury to a dinner party with this Manhattan barware collection from Georg Jensen designed by Sanne Lund Traberg. Made from stainless steel, this collection has been inspired by the clean lines and geometric symmetry of buildings found in New York City. Perfect for special occasions, the collection is the perfect addition for any home and also makes a great gift for loved ones. 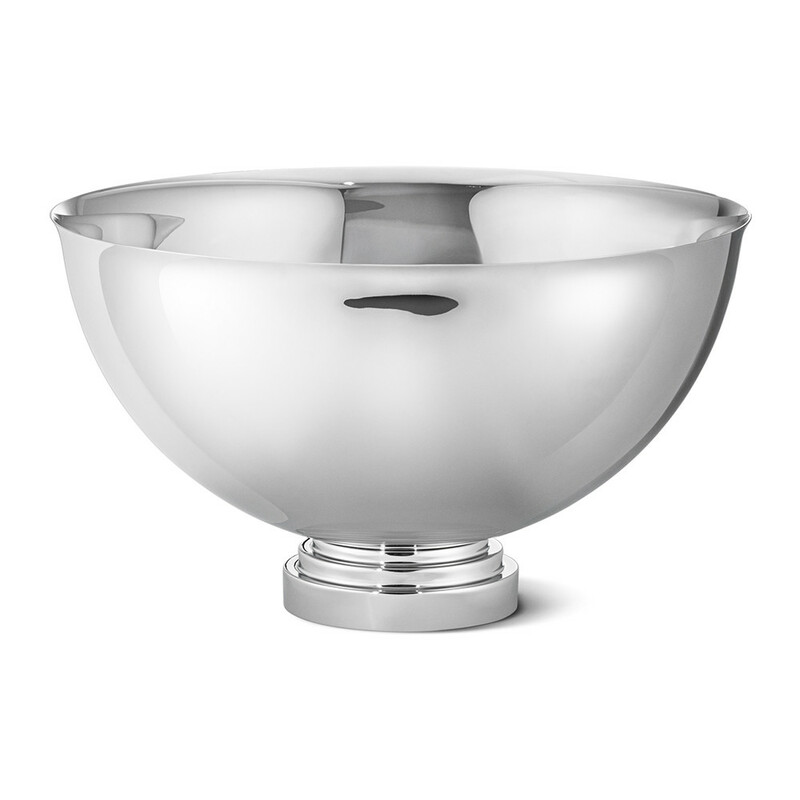 Display your favourite bottle of champagne with this Manhattan champagne bowl from Georg Jensen. Inspired by the clean lines and geometric symmetry found in the iconic buildings of New York City, this large bowl makes a great addition to any dinner party. Made from stainless steel, team with more pieces available separately in the collection to coordinate the look. Create the perfect drinks with this Manhattan cocktail shaker from Georg Jensen. 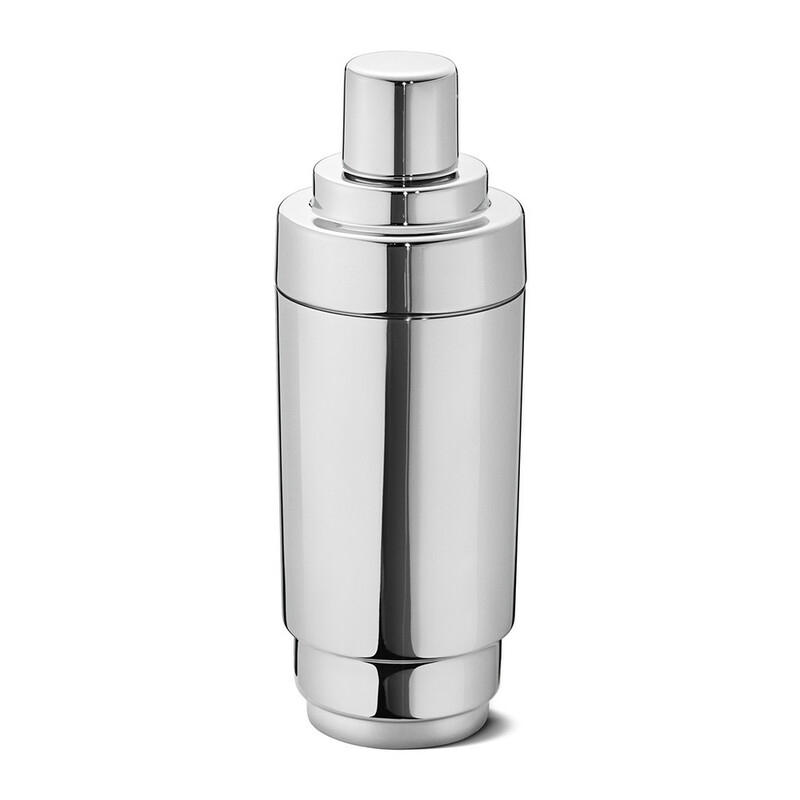 A luxurious addition to any bar surface this shaker makes hosting easy. 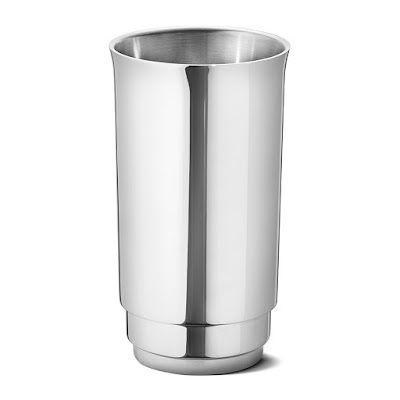 Made from stainless steel, inspired by the clean lines and geometric symmetry found in the iconic buildings of New York City, this makes a great gift idea for any cocktail connoisseur. 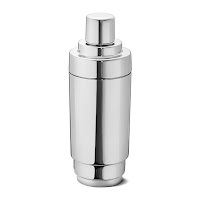 Keep your favourite bottle chilled for longer with this Manhattan wine cooler from Georg Jensen. Made from stainless steel this luxurious wine cooler is inspired by the clean lines and geometric symmetry found in the iconic buildings of New York City. A great addition to the centre of any dining table, team with more pieces available in the Manhattan collection to complete the look. 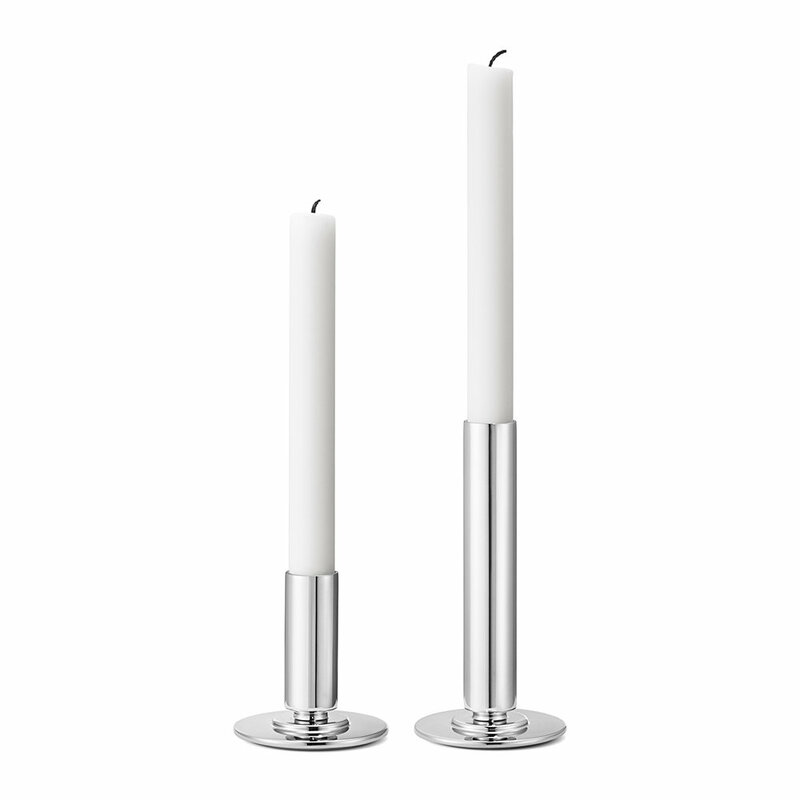 Create a stunning candle lit display with this set of two Manhattan candle holders from Georg Jensen. 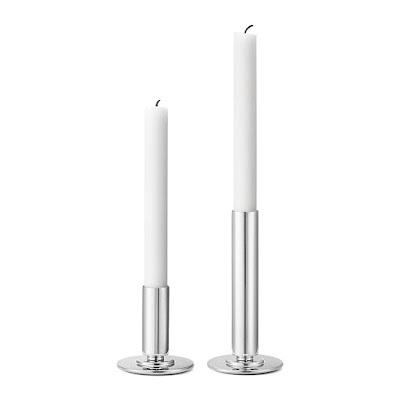 Crafted from mirror polished stainless steel, the different sizes of these candle holders are perfect creating an enhanced effect and have been inspired by the Art Deco movement. A wonderful addition to any stylish home, these candle holders also make a special gift idea for loved ones. Serve guests in ultimate style with this Manhattan oblong tray from Georg Jensen. The stainless steel tray draws inspiration from the clean lines and geometric symmetry found in the iconic buildings of New York City. 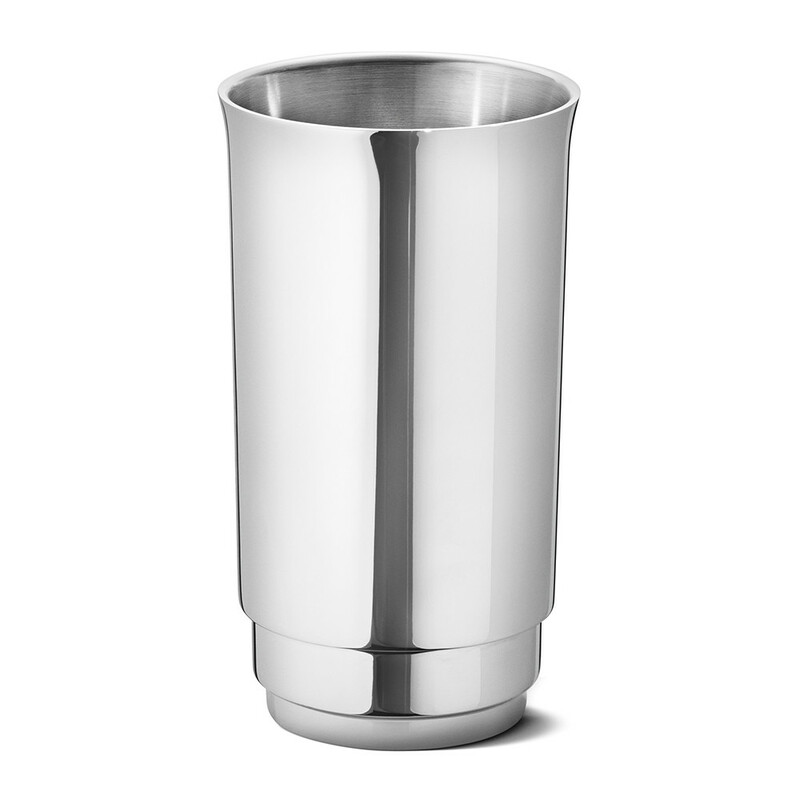 The large size is ideal for carrying several drinks at once or to leave as a dining table centrepiece, pair with more bar accessories to coordinate a setting. 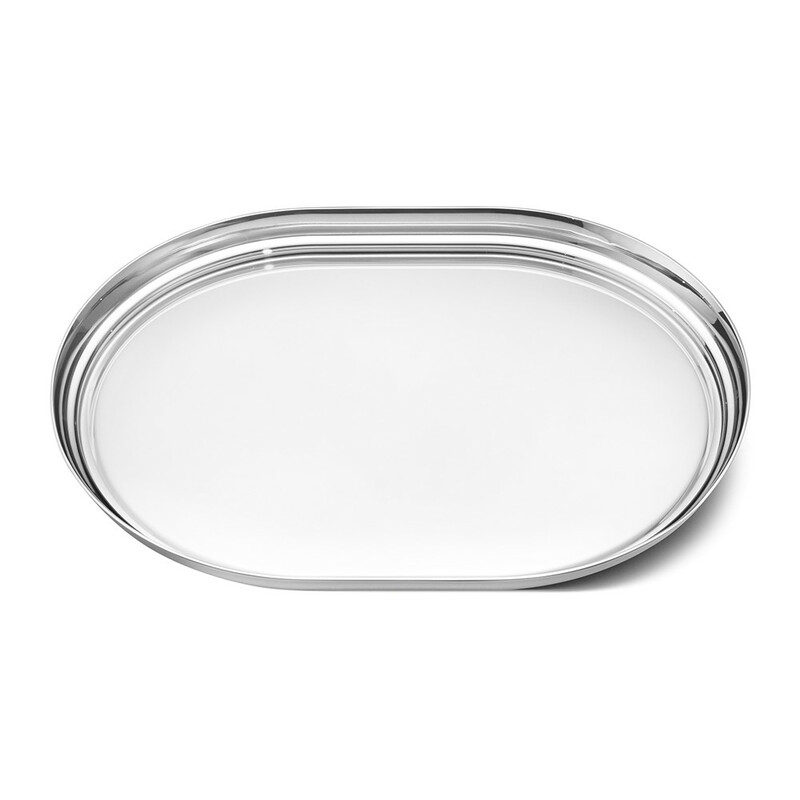 Add style to the home with this Manhattan oblong tray from Georg Jensen. Made from stainless steel the tray is inspired by the clean lines and geometric symmetry of the buildings found in New York City. 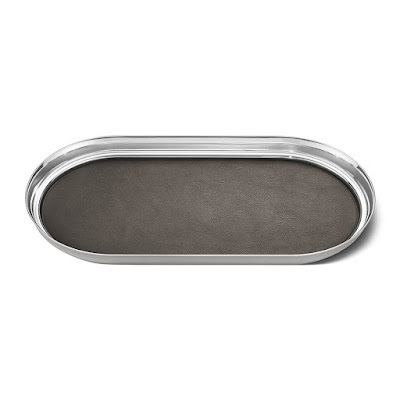 Finished with a luxurious leather inlay, this tray is perfect for use as a decorative piece and a practical tray. 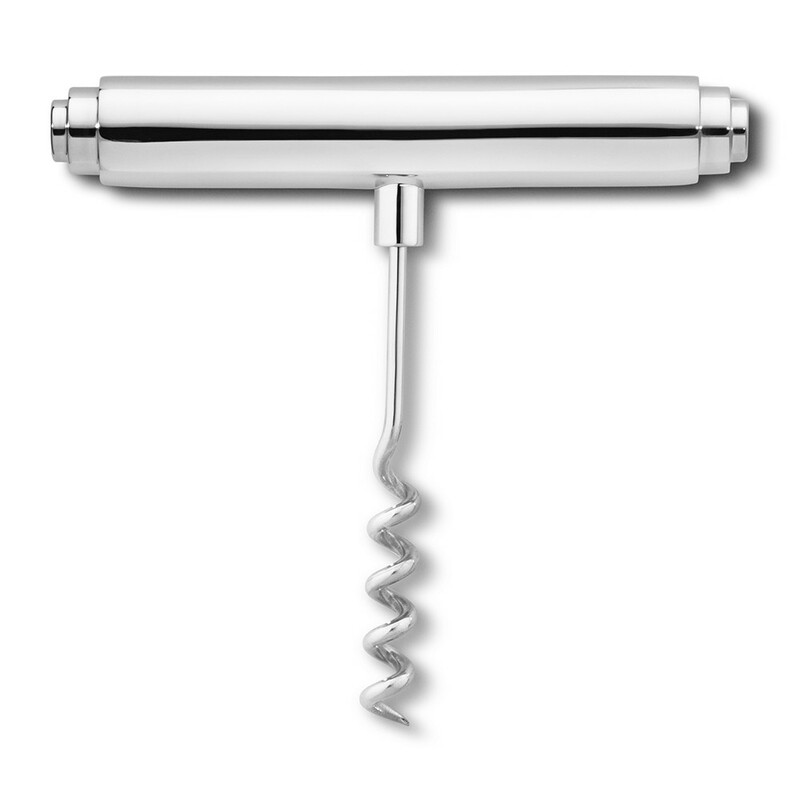 Stylishly enjoy your favourite bottle of wine with this Manhattan corkscrew from Georg Jensen. Made from stainless steel the clean lines and geometric symmetry are influenced by the iconic buildings in New York City. Perfect for effortlessly opening a corked bottle, team with more pieces available in the Manhattan collection.